Have Fun Creating The Solar System! 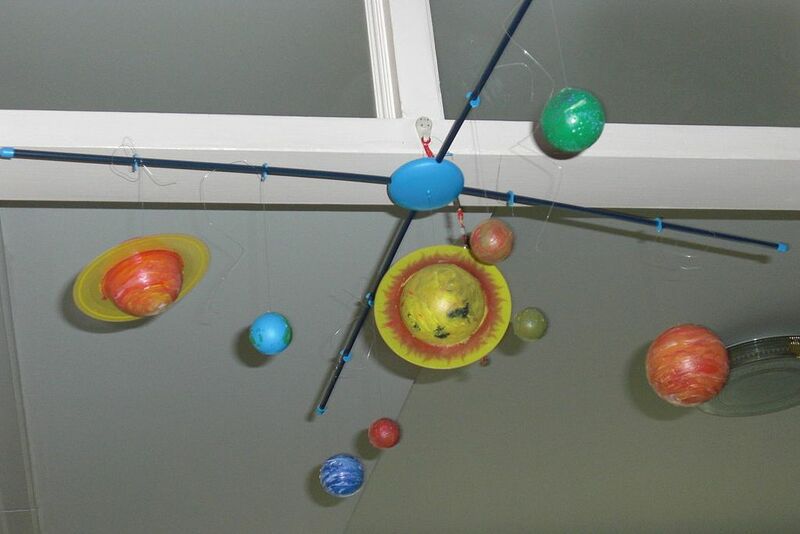 A homemade solar system hanging from your ceiling is a great way to inspire kids about space and all the planets, asteroids, comets and moons in the solar system! You will enjoy planning, making and painting. It is also just a great activity to enjoy together with someone. It can even be a great idea for a school science project! Keep reading below and let's get started!! 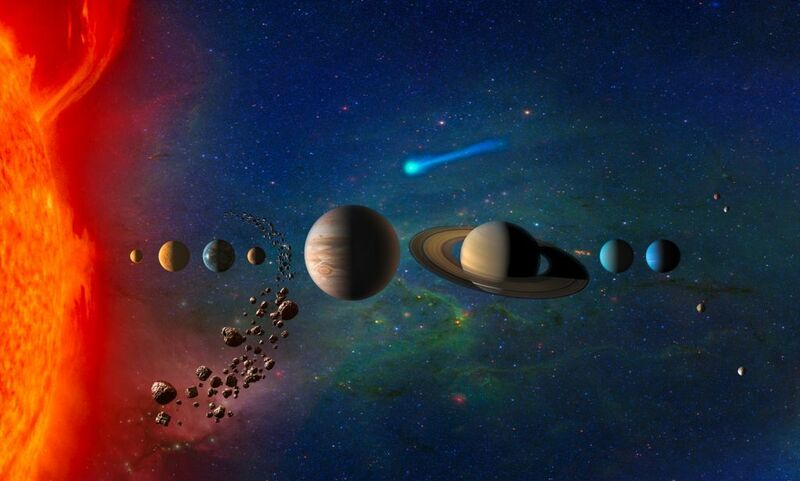 How to Make Your Own Solar System! 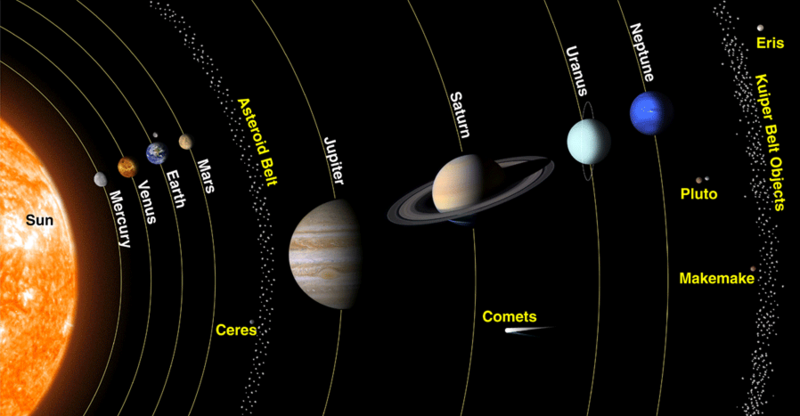 Making a homemade solar system is a great activity to learn about the Sun, the planets and moons of the solar system. Kids will enjoy making the components, painting them all while they’re having fun learning. It can even be a good idea for a school science project! All you need to build your own solar system mobile are some simple arts and crafts supplies and a selection of paints. Anyone can make it whether at home or school. Read on and I will explain the steps. So, let’s get started! 2 x small balls for Pluto and Earth’s moon. First, we need to take one of the large foam balls we are going to use for Saturn and place it on the flat piece of cardboard. Draw an outline of the ball on the cardboard which matches the diameter of the ball. Now draw a circle around this circle you just drew that is twice as wide. Cut this ring out carefully along the lines you have just drawn. Now you will have a ring we will stick on Saturn! The Moon – mix up some white & black to make two types of grey. For best effect paint on various sized craters! Mars – the Red Planet should really be red and brown don’t you think! You can even put some white polar caps like the Earth! Jupiter – go crazy with this one with bands of colour, but make sure you include the Big RED Spot! Saturn – if you mixed up yellow with a little bit of brown this would look great! Neptune – A deep ocean blue would look perfect for the Ice Giant! Finally, don’t forget to paint the rod, I reckon black would be a good colour! * Top Tip: For an extra cool effect, get some luminous paint and use these on the Sun and planets so that they glow in the dark once hanging from your ceiling! Once Saturn’s ring has dried, I would then fit the ring (that you previously made out of cardboard) over the ball & super glue it in place around Saturn’s equator. Finally, all you need to do is cut some lengths of fishing line and super glue them the Sun, planets, and Pluto. 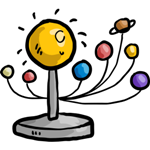 Once they have dried hard you can attach the other end of the fishing line to the rod (with the Sun in the middle in the planets spread out on either side in order) and secure the rod with all the hanging balls to the ceiling. And hey presto, you have your very own 3D solar system! Check Out These Astronomy Topics! The Solar System's 30 Biggest Moons!